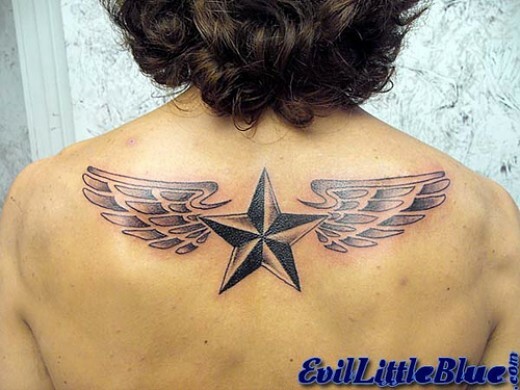 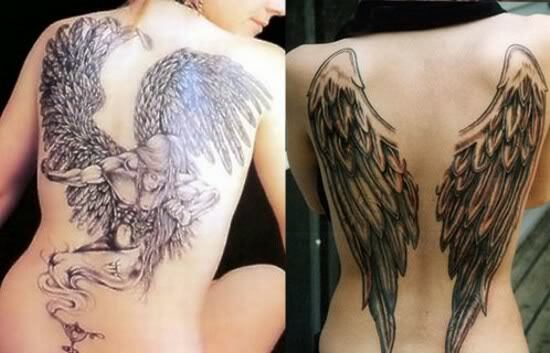 More great angel wings tattoo designs and ideas. 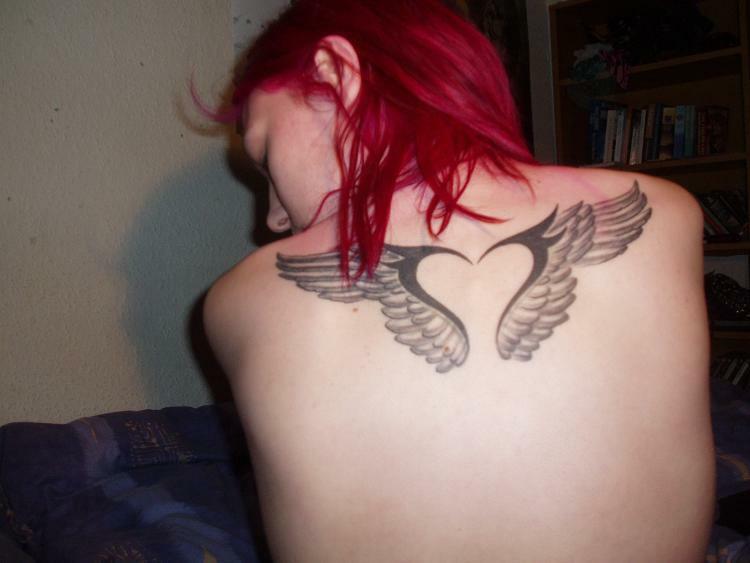 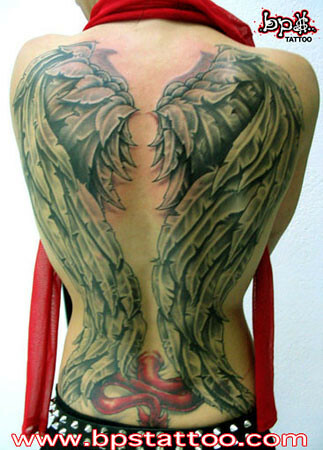 Tattoo of angel wings on middle of upper back. 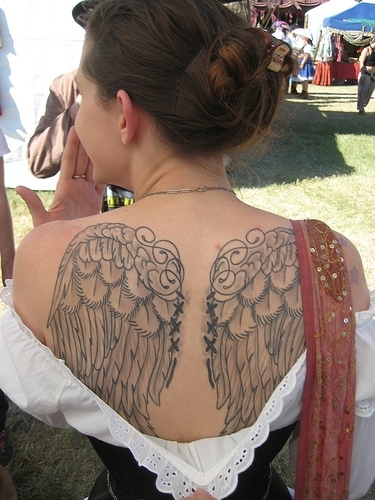 An angel with three pairs of wings represents dignity, glory and honor.